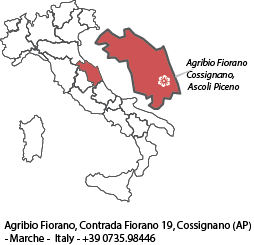 The Fiorano organic winery is associate to AIAB and certified by the CCPB for organic wine-making . 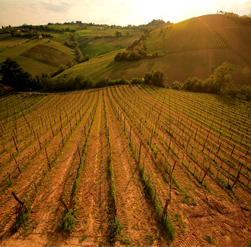 Its close proximity to the vineyard allows for optimal and timely winemaking. The building itself is a recent construction – built largely underground to better ensure a constant temperature – is equipped with all modern technologies, and is designed to ensure the health and integrity of the wine at all stages of the wine-making process.. Our limited size is one of our strengths. We exclusively use grapes from our own harvest, and thus can guarantee that the entire production chain is organic. For the fermentation and storage of wine, we use both stainless steel tanks at controlled temperature, and various sized wooden barrels without temperature control. Fiorano produces both young wines for timely consumption, and wines to savour the texture and flavour of after a period of maturation and aging. We organise organic wine and oil tasting events for small groups, on request. We also offer the opportunity to visit the farm, with a guided tour of our organic olive groves, vineyard, and winery. 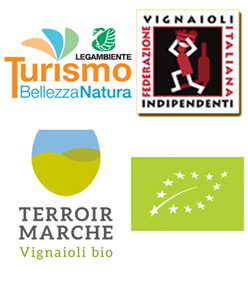 To learn about our retailers, importers and local representatives , please contact us.